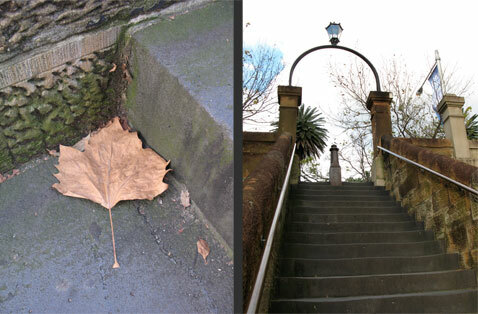 I've just come back from an early birthday present to myself: a long long weekend in Sydney. I'm always amazed that it takes just over an hour to fly from Brisbane to Sydney. I used to commute for longer than that. 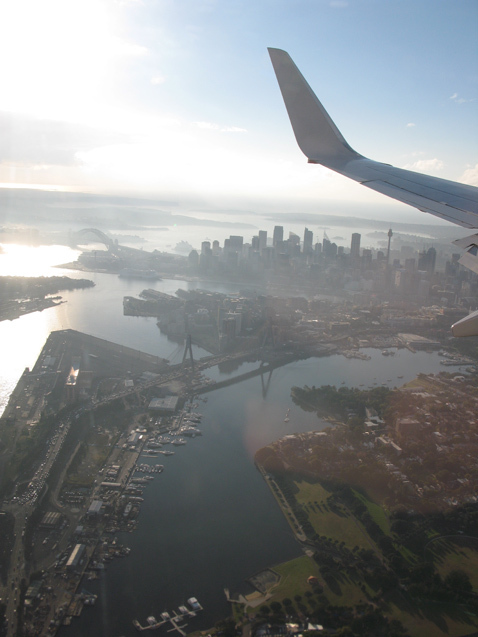 My window-seat was outstanding, as was all things Sydney, apart from one incident involving some bird poo and a park bench! 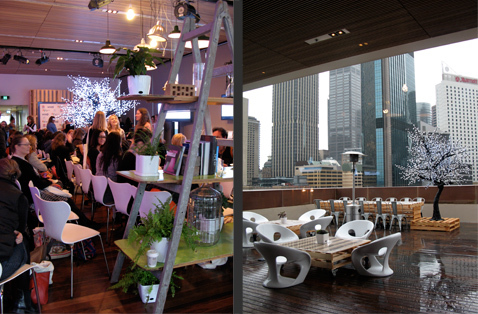 'Etsy Success Sydney' was both inspiring and intimidating. Etsy CEO Chad Dickerson's address was about courage and the finding thereof. (inspiring.) Georgie and Milenka from TMOD spoke about how their brand has grown from being a handmade start-up into a business with products stocked in stores around the world. (intimidating! but they gave a great talk!) Bel and Robyn from Brisstyle presented to a packed room about Etsy team management, and it was so lovely to meet them (and Mel from Kimono Reincarnate) in the break. The 'Tips from top sellers' session was full of laughs and great advice, and we heard from Sam (Matou en Peluche), Jess (Epheriell) and Lloyd (Tummy Mountain). Lara Hutton (stylist) and Heidi Adnum (photographer) presented good info about getting better results from your camera, and they demonstrated with pics they'd set up and shot in a hotel room that morning! I left before the final session as I was wrecked, and wet from a drenching at lunchtime - I think I steamed lightly all afternoon. The venue (new function rooms at the top of the Museum of Contemporary Art) was beautiful, the view amazing, the catering good and the conversations with like-minded crafty people excellent. Three cheers for Etsy Success! Was that the highlight of my weekend? Hard to say. 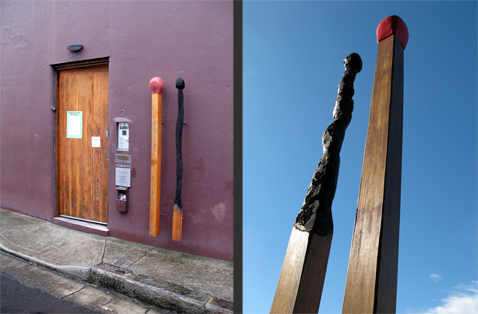 I loved re-visiting the Brett Whiteley studio in Surry Hills, and then finding the huge version of his matchstick artwork out the back of the Art Gallery of New South Wales. 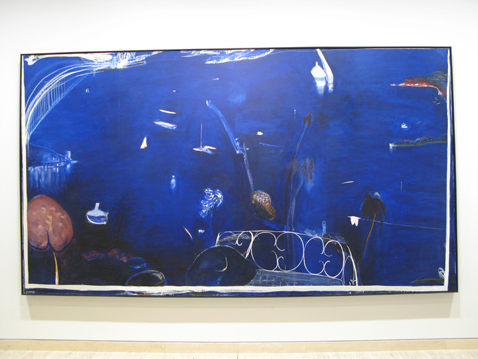 I also spent a long time drowning in the lovely blue of one of my favourite paintings of his. 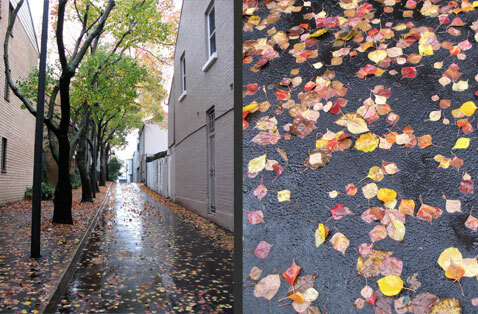 ... and I loved the wintry-ness of the falling leaves everywhere I went. It's lovely to get away, isn't it?